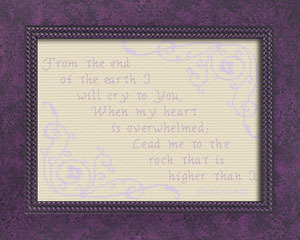 Most of the New Releases are on Page Four and designs larger than 8 x 10" are found on Page Two. 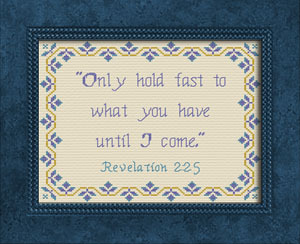 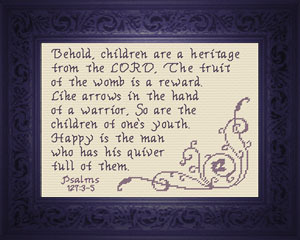 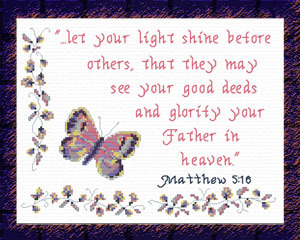 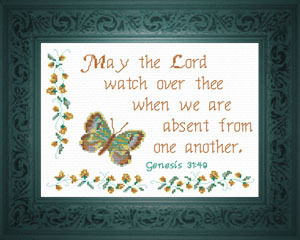 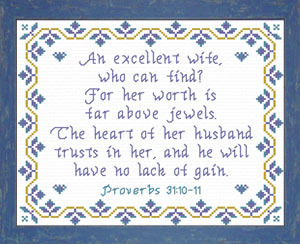 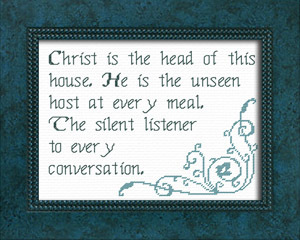 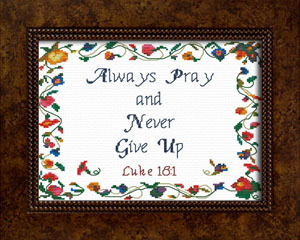 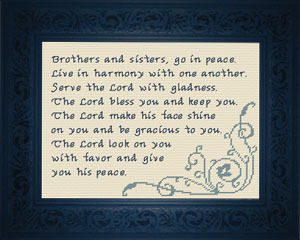 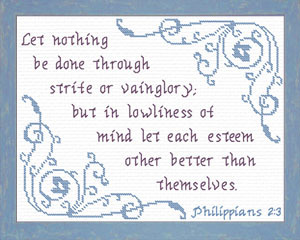 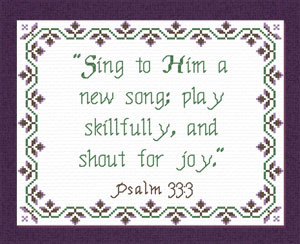 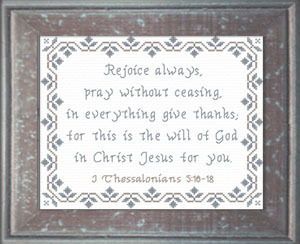 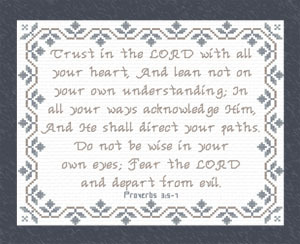 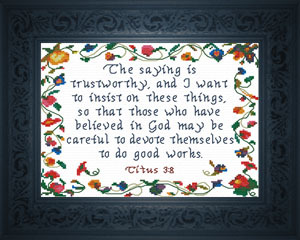 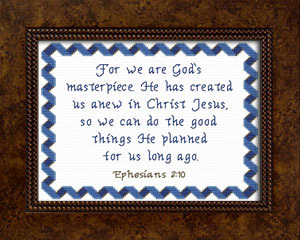 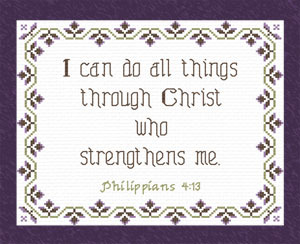 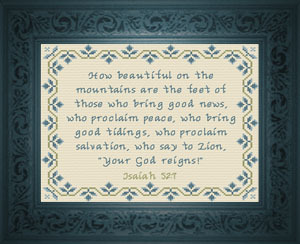 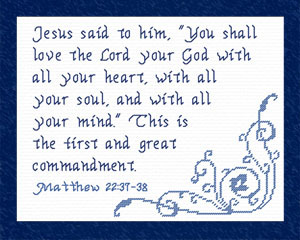 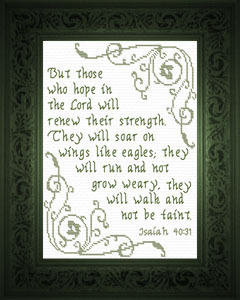 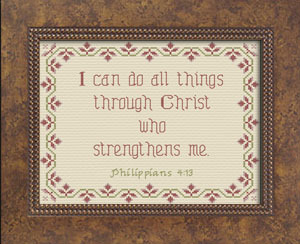 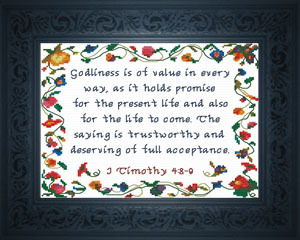 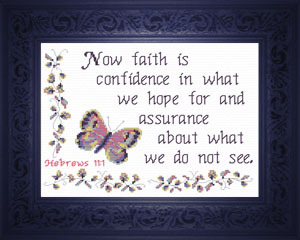 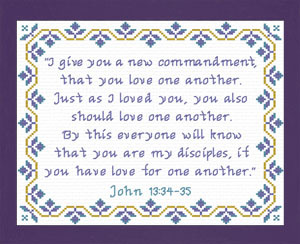 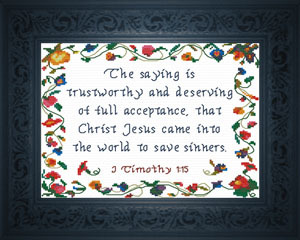 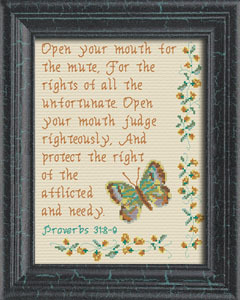 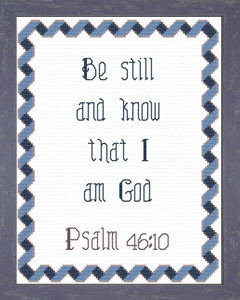 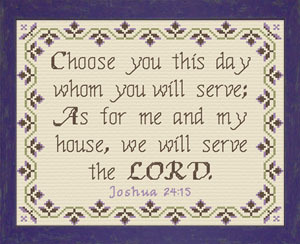 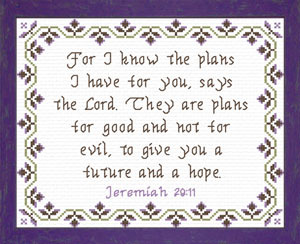 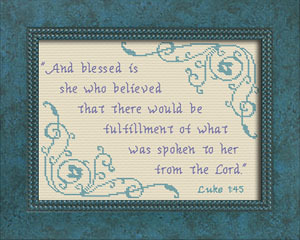 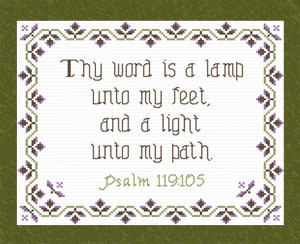 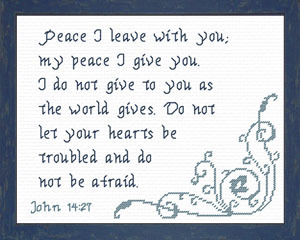 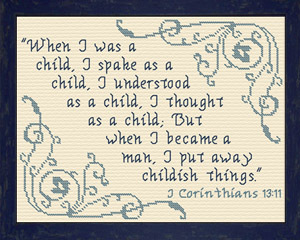 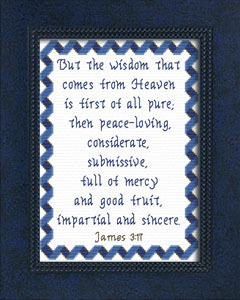 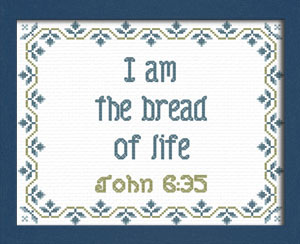 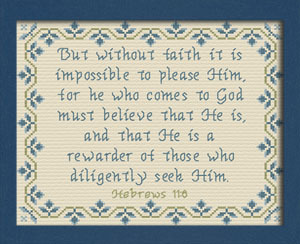 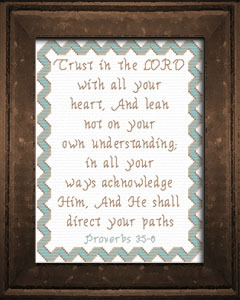 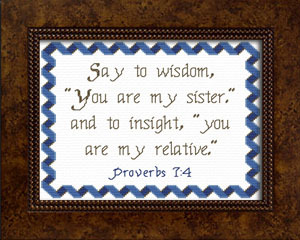 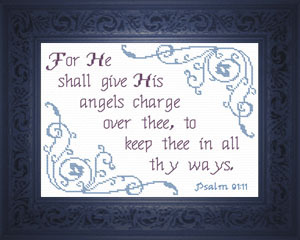 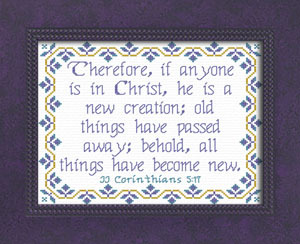 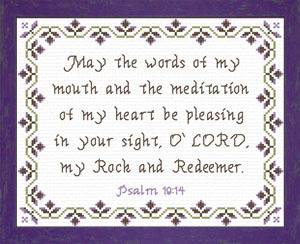 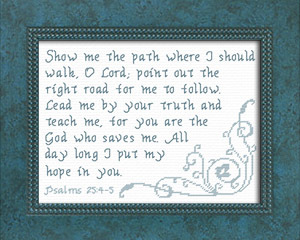 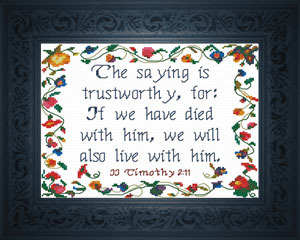 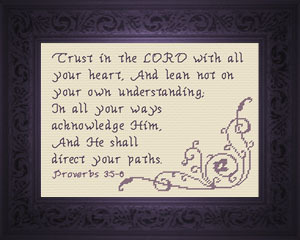 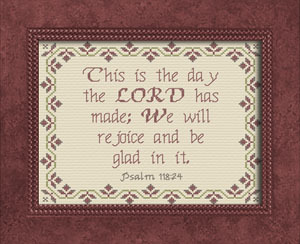 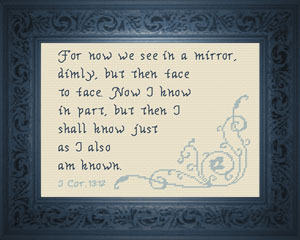 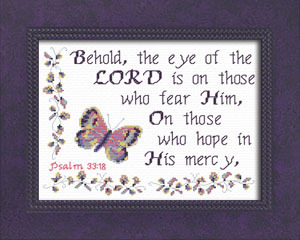 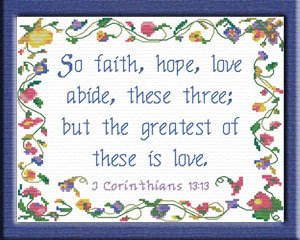 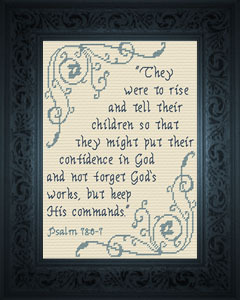 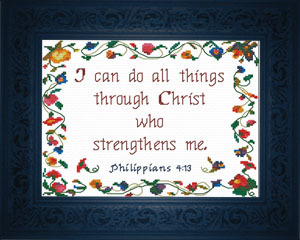 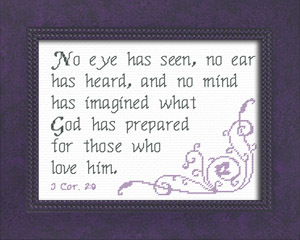 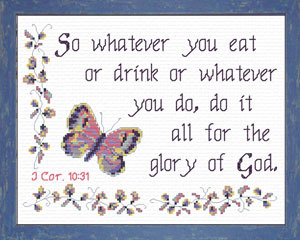 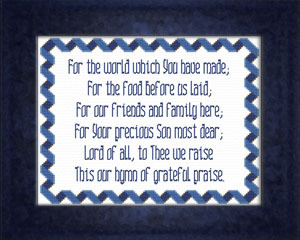 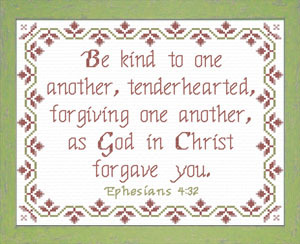 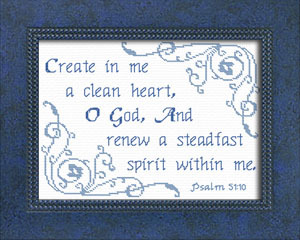 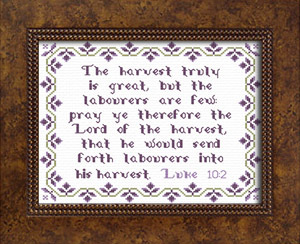 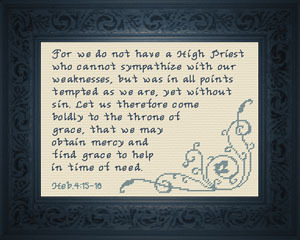 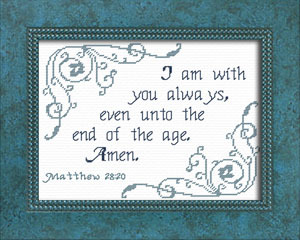 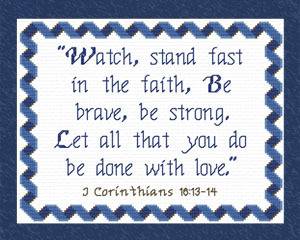 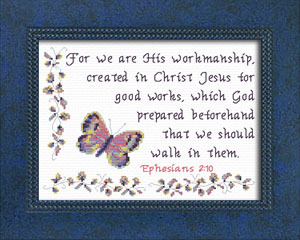 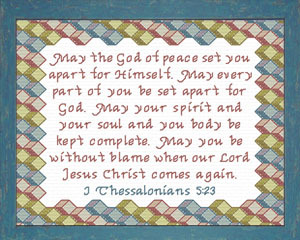 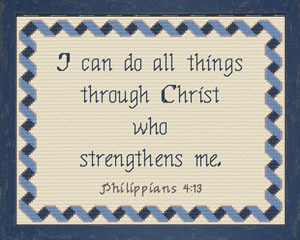 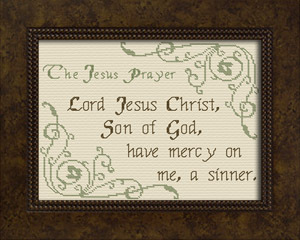 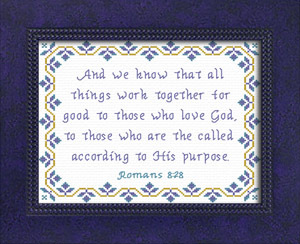 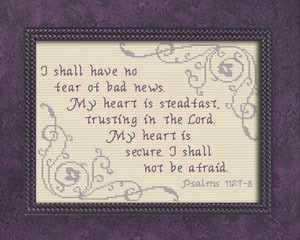 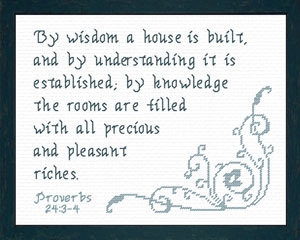 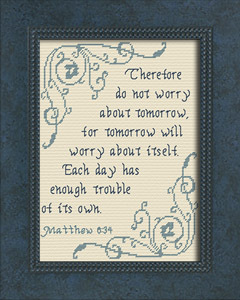 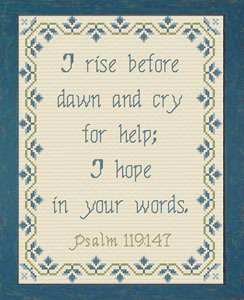 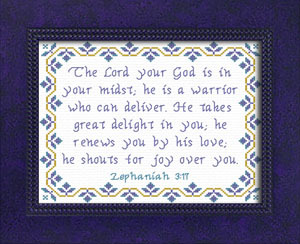 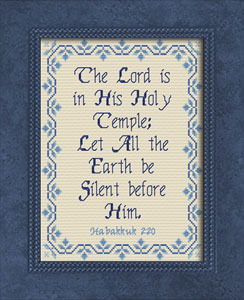 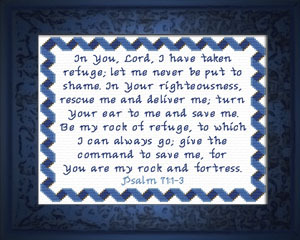 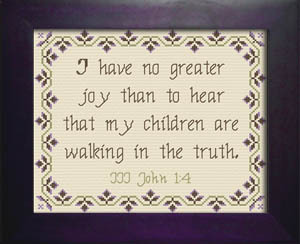 Many customers have ordered Custom Designs featuring their favorite Bible Verses and versions. 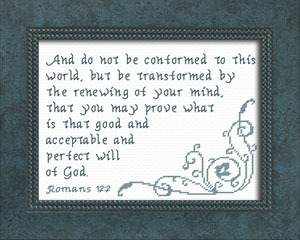 We are now offering these same custom designs to you. 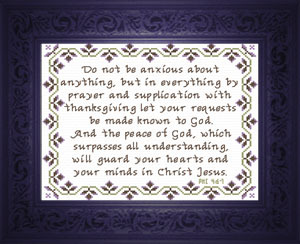 These designs are all available as Downloadable PDF Charts for $8.00 - no shipping charges! 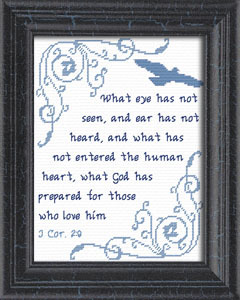 Most of the designs are now available as Complete Kits! 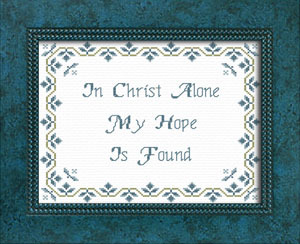 at $15.00 plus minimal shipping, Kits include 14 count Charles Craft Aida fabric in your choice of white or vintage, a full color Chart spanning 5 or more pages, Anchor Floss in full skeins and/or labeled bobbins, and a Tapestry Needle. 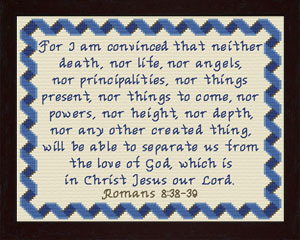 Everything but the frame! 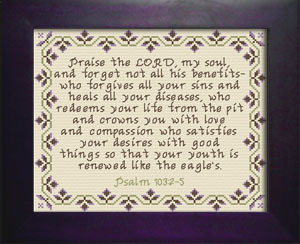 Fits standard 8 x 10" frame without a mat - No custom framing necessary! 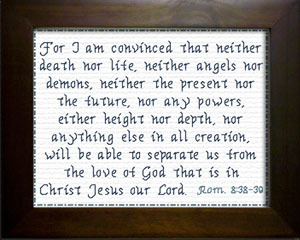 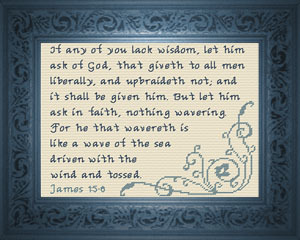 Don't see your Favorite Bible Verse here? 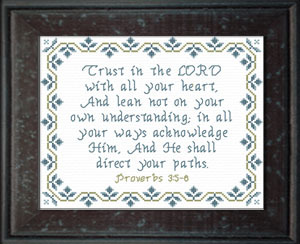 Or go to Borders and Verses and order your own Custom Design today. 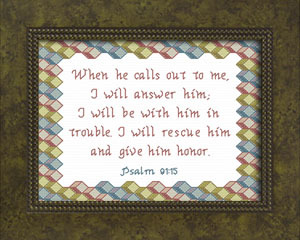 Other popular Custom options are our Name Blessings. 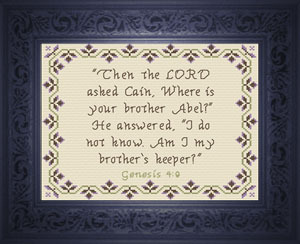 Name, Name Meaning and "matching" Bible Verse. Personalized Name Blessings make wonderful gifts! 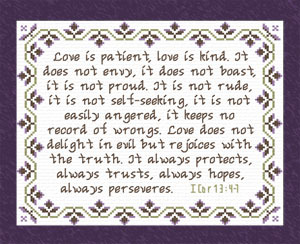 A perfect gift for that special couple. 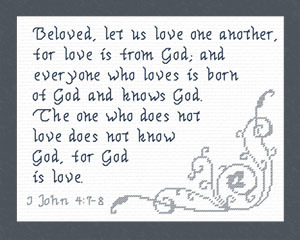 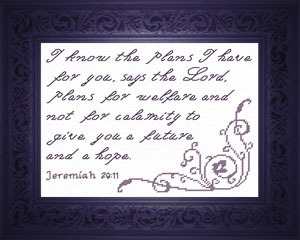 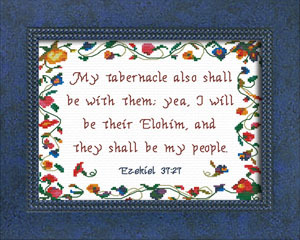 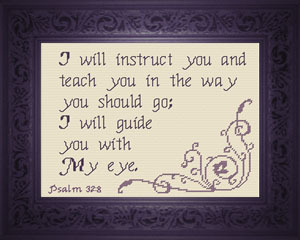 Personalized Wedding / Anniversary "Sampler"
If we do not have your desired Bible Verse already designed, or you would like a different border, please go to the Borders and Verses page and order your custom chart for $12.00 or your complete kit for $18.00 plus shipping.